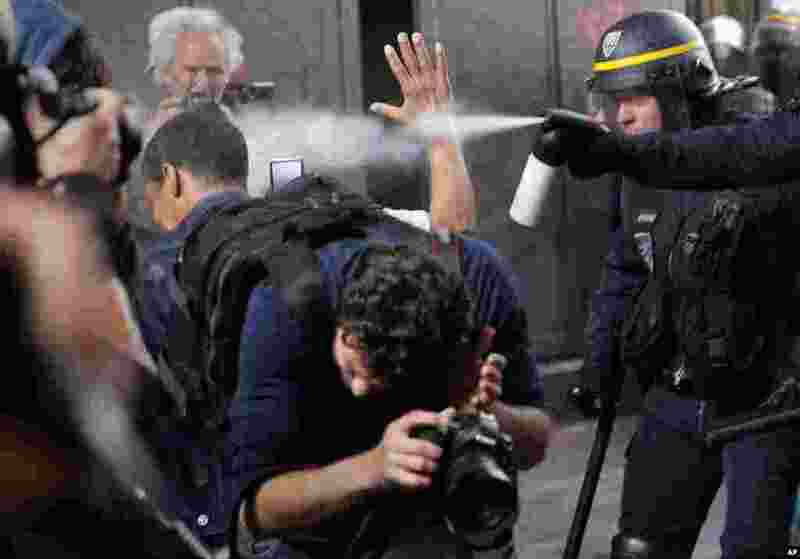 1 Riot police officers spray gas at photographers during scuffles at a demonstration in Paris, France. Public services workers have gone on strike as part of their protest of a government plan to cut 120,000 jobs by 2022. 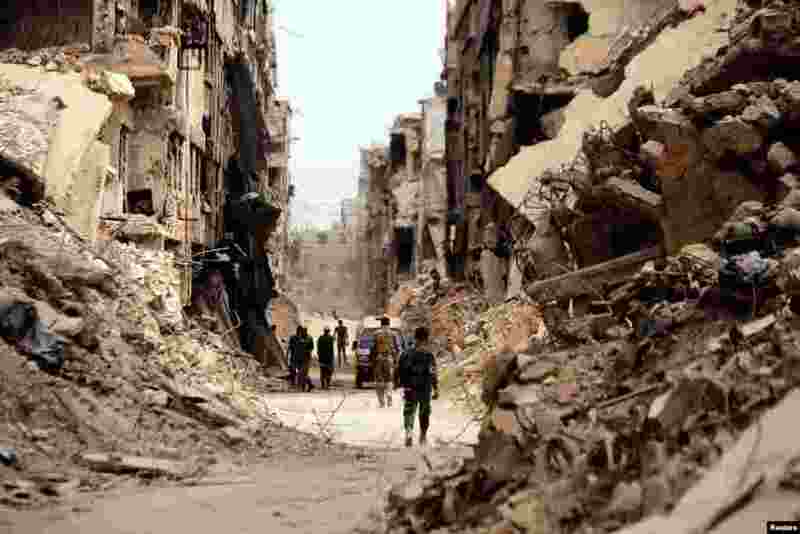 2 Soldiers walk past damaged buildings in Yarmouk Palestinian camp in Damascus, Syria. 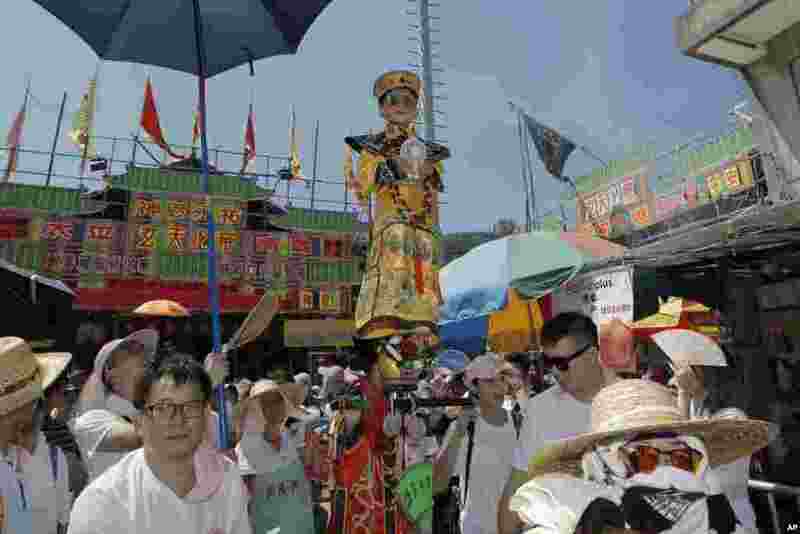 3 A child dressed in a traditional Chinese costume floats in the air, supported by a rig of hidden metal rods, during a parade on the outlying Cheung Chau island in Hong Kong to celebrate the Bun Festival. 4 Meghan, Duchess of Sussex, attends a garden party at Buckingham Palace, with Camilla the Duchess of Cornwall, in London.